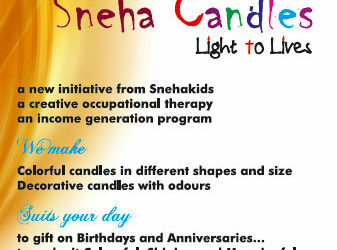 Sneha Charitable Trust (SCT) was founded in 2003 with the aim of co-ordinating social and community health care services to the poor, sick and the most neglected section of our society in India. SCT is managed by the Camillians- an International Faith-based Organization which is exclusively involved in the healthcare field for the past 450 years. It is one of the most challenging, creative and demanding initiatives of Camillians. It has a radical and distinctively global healthcare action – care and support to People Living with HIV/AIDS (PLHA), destitute, mentally and physically challenged children, training in quality healthcare management, vocational rehabilitation, training and job placement. The trust has also been holding hands with the national programmes and international programmes of care implemented through various government and non-governmental agencies. In the context of stigma and taboo associated with HIV infection and consequent denial of hospital treatment and rejection from the society experienced by those infected, SCT began its first social and community centre in Bengaluru, known as Snehadaan. Through SCT, the healthcare services of HIV care got its wings strengthened. Over the following years, we opened similar care centres in Bengaluru (Sneha Care Home & Shining Star School), Mangaluru (Snehasadan & Snehashram), Kerala (Snehatheeram), Secunderabad (SnehaKiran & St. Camillus Gramam), Tamil Nadu (Snehagram). A new ray of love and acceptance dawned in the lives of many through the instrumentality of these social and community centres, having the capacity to provide in-patient care for more than 600 people. Ushering in the care of HIV infected Orphan and Vulnerable Children (OVC), SCT started one of its major care interventions in HIV scenario. This was the opening of Sneha Care Home in Bengaluru and Sneha Kids’ Home in Mangaluru to respond comprehensively to the needs of OVC. It was started with the aim of developing a model program which would comprehensively address the multi-faceted issues of children living with HIV. Later on, SCT also opened a community centre at Krishnagiri for adolescent children with vocational training and capacity building initiatives. SCT has about 350 children living with HIV infection in its healthcare centres now. In fact, their future might be uncertain and their past, a painful reality. However, the children in the care of SCT live their present with zest. Recently, SCT has started construction of a Home for the destitute and mentally and physically challenged children at Yellempet, Hyderabad. SCT actively involves in out-reach programs, life-drops- blood donation movement and occupational rehabilitation programs.